Plus, she’s “fiercely committed” to her daily naps. • Olympic gold medalist and top American skier Mikaela Shiffrin’s training schedule sometimes calls for intense morning workout sessions. • When she’s staying at her parents’ home in Avon, Colorado, she’ll hit the dumbbells at the gym of a nearby hotel. • She also skips the coffee at breakfast. 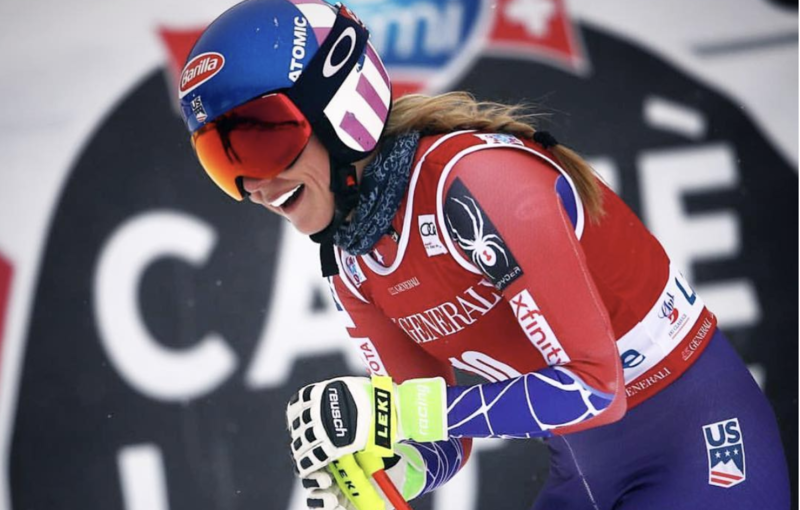 For Mikaela Shiffrin, talent isn’t everything. The 22-year-old is looking to make history at the Pyeongchang Games by becoming the first American woman to win three skiing medals at one Olympics, The Denver Post reported. If she pulls it off, she won’t have her talent to thank. She’ll owe it to the hours she’s put into enduring grueling workouts — sessions that often leave her feeling like she might pass out, according to The New Yorker. The alpine skier’s commitment to training is apparent in the in-depth profile Elizabeth Weil wrote for Outside. In her preparation for the Pyeongchang Games, Shiffrin stuck to a rigorous training routine with little room for deviation or slacking off. Not Shiffrin, though. The reigning World Cup Champion didn’t become the youngest person to win an Olympic gold medal in the slalom at the 2014 Sochi Games just because of her innate talent. Like most Olympians, years of consistent of hard work went into her historic win. The athlete typically gets 10 hours of sleep, going to bed at 9 p.m. and waking up at 7 a.m. She kicks off her day by into a usual breakfast of toast and two fried eggs. She skips the coffee, though. She typically stays at her parents’ house in Avon, Colorado. When her workout schedule calls for some weight training, she’ll drive over to the Westin Beaver Creek resort around 9 a.m. and kick things off with a 10 minute warmup on a spin bike. Outside reported that the hotel has dedicated a small storage space to the athlete — it’s labeled “Mikaela’s Corner.” That’s where she cranks out intense Olympic lifts that sometimes boggle the minds of her fellow gym-goers. After the weights, she hits a series of triple jumps and agility drills. The whole exercise session typically lasts about two hours. And, once she’s finished, Shiffrin doesn’t skimp on recovery. Outside reported she’s “fiercely committed” to her daily naps.